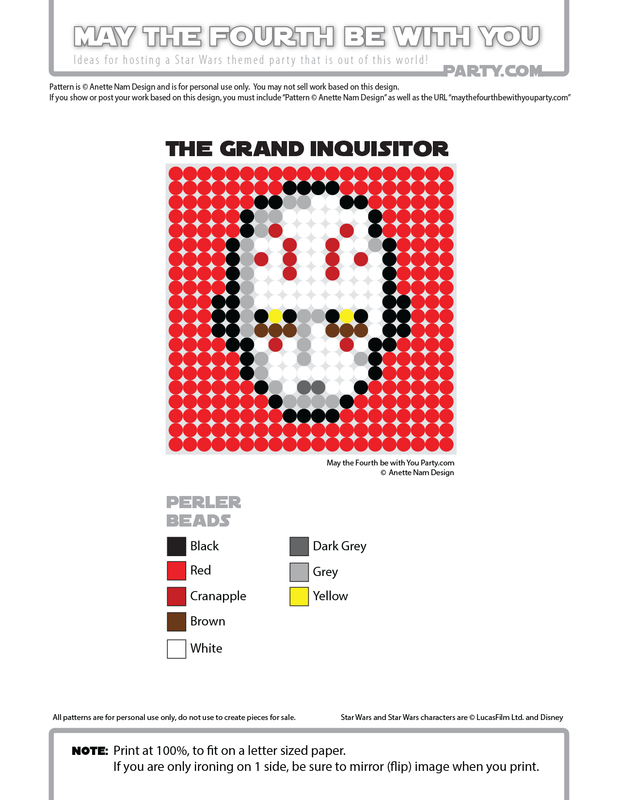 My son is terrified of The Grand Inquisitor! There are lots of decisions to make as a parent – one is being mindful of what you let your kids watch on TV. We are quite conservative about the violence we let our children get to see. 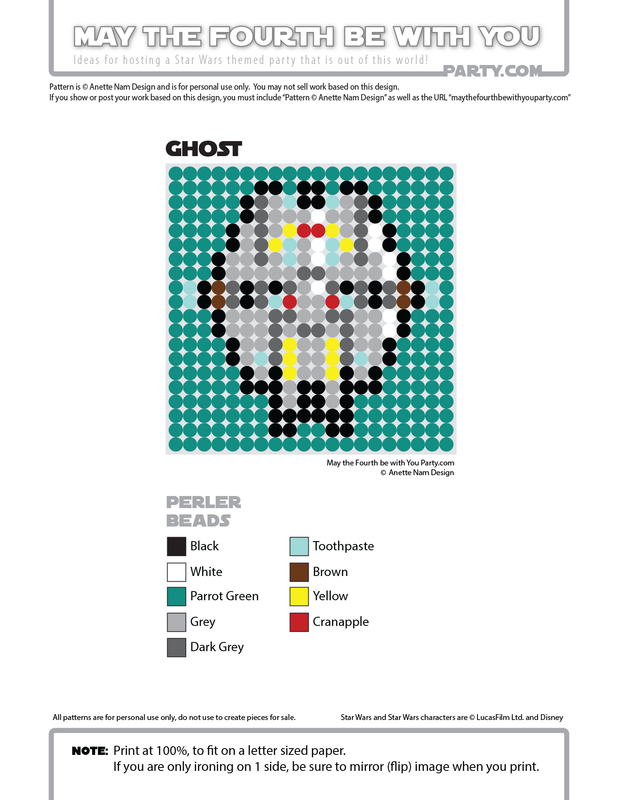 Having said that, things that are a little scary are not necessarily bad for younger kids. The Lion King and Finding Nemo are examples of movies with elements that frightened my little ones when they were younger. But, watched in the safety of my lap, those kinds of “scary” were excellent opportunities for deeper, important conversations with my children. While I think both those movies are “deeper” than Star Wars: Rebels, Rebels is not much scarier. And since my son wanted desperately to watch the show, despite being scared, we got a big blanket and curled up together – and helped him cover his eyes when The Grand Inquisitor came on screen. 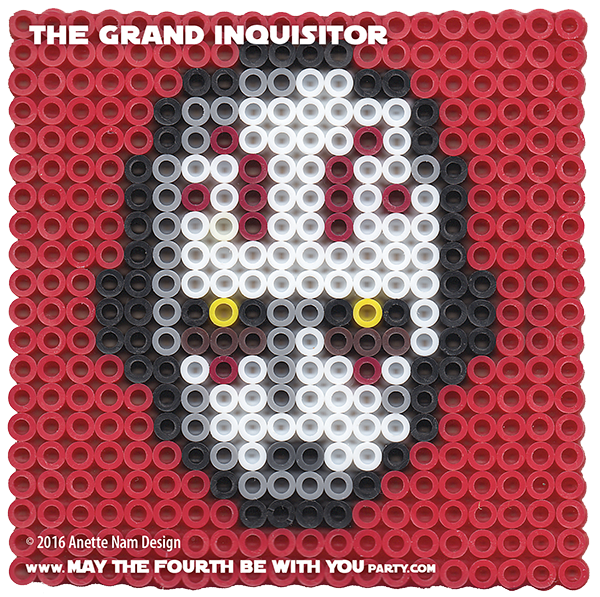 The Grand Inquisitor is #66 in the Perler bead/cross stitch/crochet/knitting/Lego/pixel/mosaic pattern series.